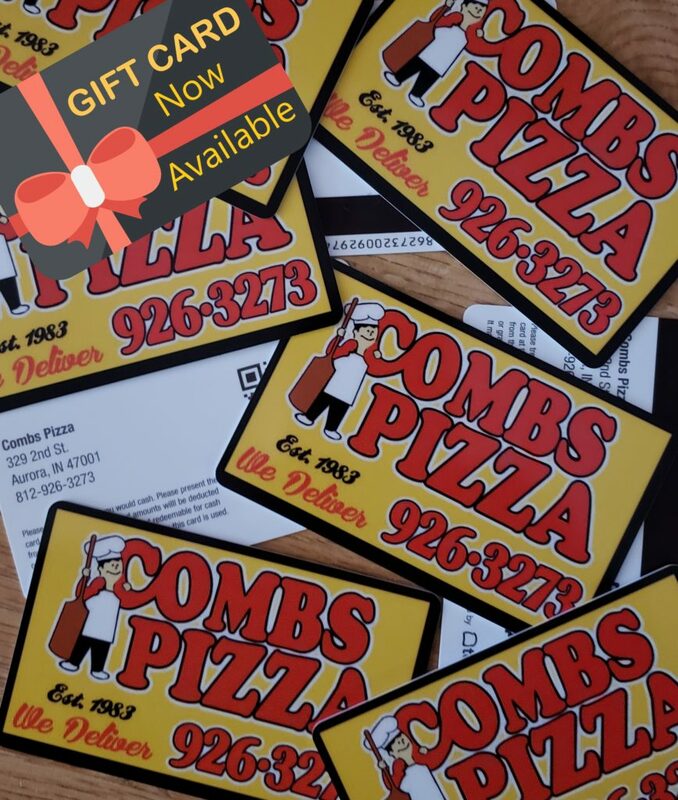 Combs Pizza Gift Cards Now Available! Did you know we have gift cards available at the counter? We do and you can purchase one in any amount you’d like, there are no specific set amounts on these cards. There is no better gift than this for those special loved ones who love Combs Pizza as much as you. -Combs Pizza is not responsible for lost, stolen or damaged cards or any unauthorized card use. -Card is redeemable for food and beverages only. Unused value remains on card and cannot be redeemed for cash. Aurora couple, Darrell and Karen Combs wanted to start a business but not just any business. They wanted to bring something different to their hometown. They wanted to share with the community, what they have been enjoying themselves for years, their own recipes for hoagies and pizza. Darrell, a veteran of the United States Army also wanted to bring service to the Aurora residents and the community in general. On March 28, 1983 in the old Buy N’ Save building at 329 2nd Street in Aurora, Combs Pizza started. 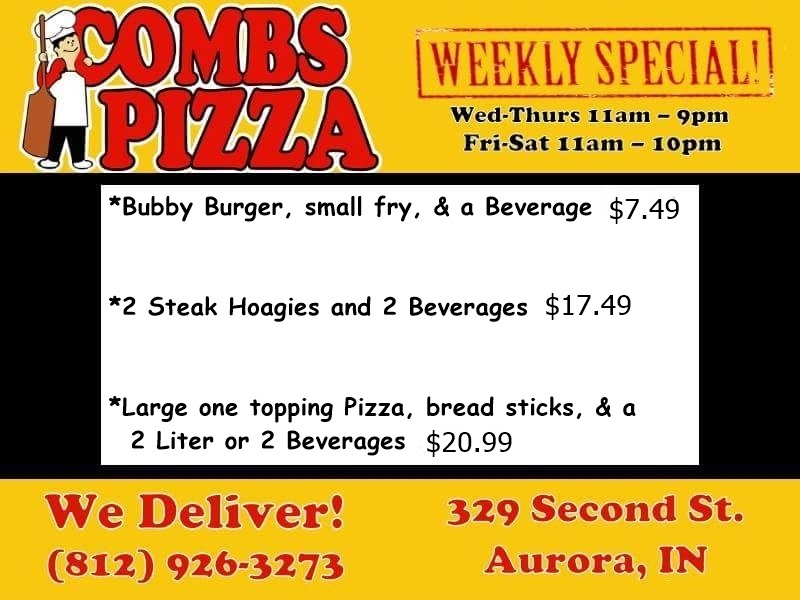 Combs Pizza was the first restaurant in Aurora to offer hot food delivery service to homes, business, and factories. 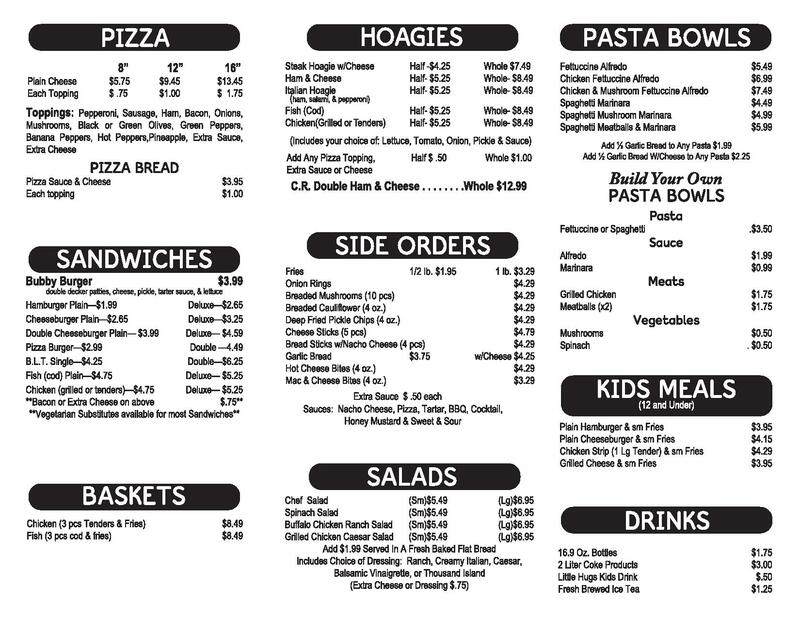 Combs Pizza’s has been a proud supporter of the community for over 32 years. Every local youth sports program from little league baseball, softball, youth SAY soccer, peewee football, and various other school groups have all been supported by Combs Pizza’s generous contributions. Combs Pizza also contributes to countless charities, benefits, fundraisers and churches in and around Aurora. Combs Pizza is a member of the Support Small Business movement. The Combs family believes in supporting their neighbors who have small shops and businesses. When purchasing for the pizza shop, they focus on finding local produce, meats and other products from local, family owned business’s, knowing it all contributes to strengthening the local economy. After almost 26 years in business serving pizza and hoagies to generations of families, Darrell and Karen made the difficult decision to close the store and retire. 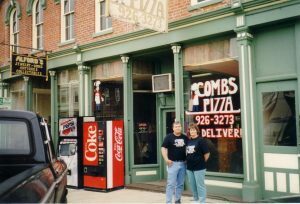 In 2010, Combs Pizza sold. The new owners opened as Combs Pizza and after a brief time the business closed. 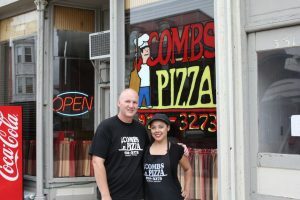 On June 1, 2012, Darrell & Karen’s son, Jesse Combs, a US Army veteran like his father, and his wife April decided to fill the void the community had without Combs Pizza and their famous steak hoagies, and re-open the business. Combs Pizza operates with the same recipes & products they have always been known for, as well as adding a few new menu items themselves. It’s these same principals and quality that made it an Aurora Farmers Fair Tradition for fair goers and families for years. 2015 will be their 33rd Farmers Fair in as many years serving the community. Combs Pizza represents the true definition of your Local Mom & Pop Pizza Shop.